Remodeling of neuronal circuits takes place during development, learning and recovery after brain damage. The main goal of our research is to understand the regulation of neural circuits remodeling. In details, we are focusing on Glial contribution for the function of neuronal circuits. Glia has been known as a key factor to regulate neural circuits through their physiological function. We are trying to determine their contribution onto the neural circuits in development and learning by visualizing fine structure, controlling activity and analyzing function of neuron and glia in living animals using multi-photon microscopy. 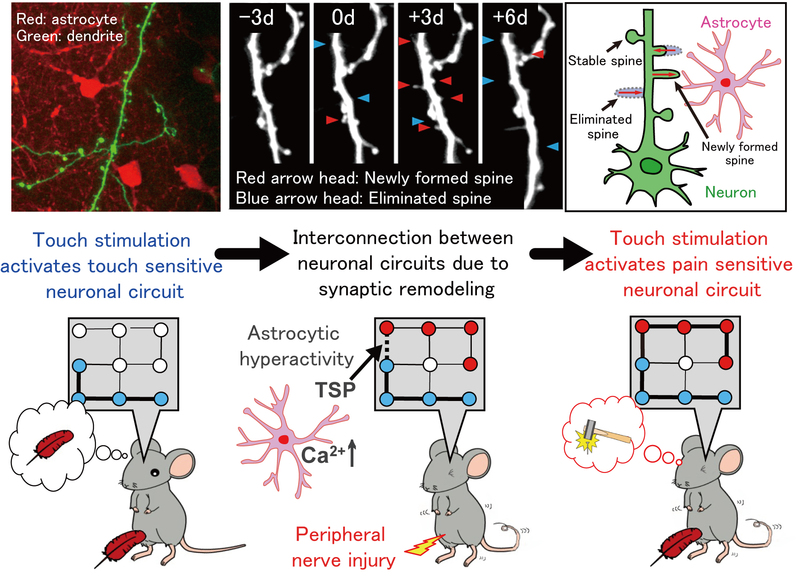 *Cortical astrocytes rewire somatosensory cortical circuits for peripheral neuropathic pain. Kim SK, Hayashi H, Ishikawa T, Shibata K, Shigetomi E, Shinozaki Y, Inada H, Roh SE, Kim SJ, Lee G, Bae H, Moorhouse AJ, Mikoshiba K, Fukazawa Y, Koizumi S, Nabekura J. J Clin Invest. 2016 May 2;126(5):1983-97. 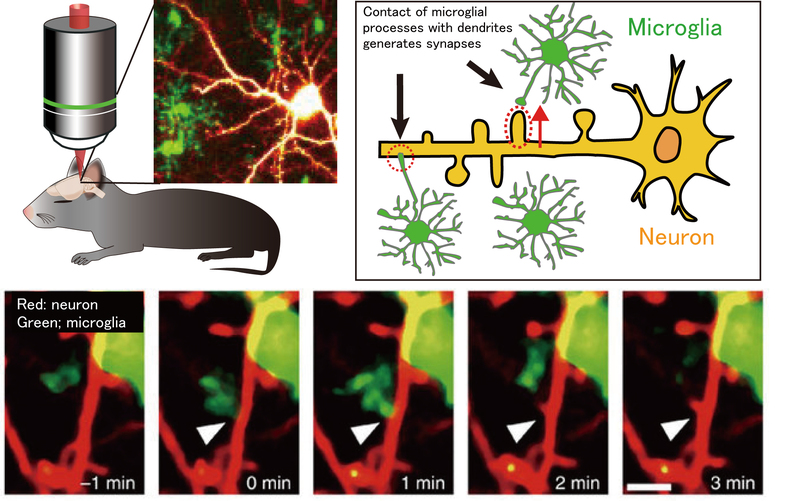 *Microglia contact induces synapse formation in developing somatosensory cortex. Miyamoto A, Wake H, Ishikawa AW, Eto K, Shibata K, Murakoshi H, Koizumi S, Moorhouse AJ, Yoshimura Y, Nabekura J.
Nat Commun. 2016 Aug 25;7:12540.